This year Masque Youth Theatre decided to take a slightly different approach to their annual production. In past years we have presented revues, we have used established plays and we have had new plays written for us. However, this time the committee felt that we should produce a piece of original theatre which has been devised by the group members themselves. To this end we began the devising process, using the central theme of “No Stone Unturned”. Our first port of call was a tour of the Church of the Holy Sepulchre in Northampton, courtesy of the churchwarden Reg Holland, during which we learned a great deal about the church, its long history and, possibly most importantly, the stories locked within its stones. We heard the story of a young soldier, depicted in a photograph, whose duty was each day to turn a page of the roll of honour in the church. The same man returned with his grandson many years after the war, to be greeted by our guide and shown the photograph of himself as a young soldier. This, and other stories like it, gave us a really good starting point from which to work. We spent the first part of the following session discussing our impressions of the church and what possible ideas we had for the performance. This threw into the mix a number of interesting suggestions which were noted down. We then divided into separate groups with the instruction to make a piece of drama using one of the ideas that we liked. After about twenty minutes of high speed collaborative work, each group showed what they had come up with. It was fantastic to see what each group made of its piece of stimulus. People used different theatrical styles, including an interesting sound montage based on some instrument-playing gargoyles in the roof of the chancel and a piece where a WW1 soldier met a ghostly former comrade. There was a scene based on the brass memorial to a large Tudor family and another inspired by a window dedicated to the memory of a nine year old child, Caroline Thornton. 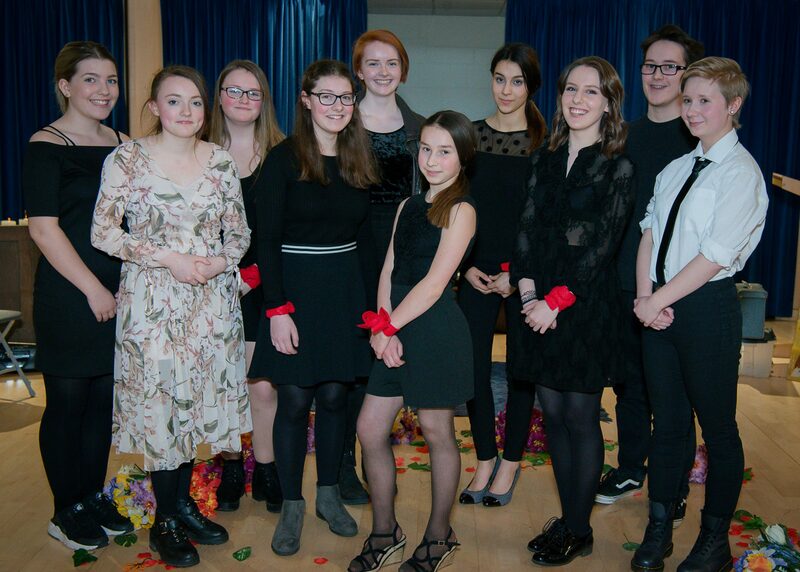 It made me proud to be in such a group that could come up with inventive, clever pieces from conception to performance in the space of just twenty minutes. Based on the work we’ve done so far, I’m really looking forward to progressing with the devising process for this production. By April we should have something really special and unique to perform, in the very same church that provided our initial inspiration.